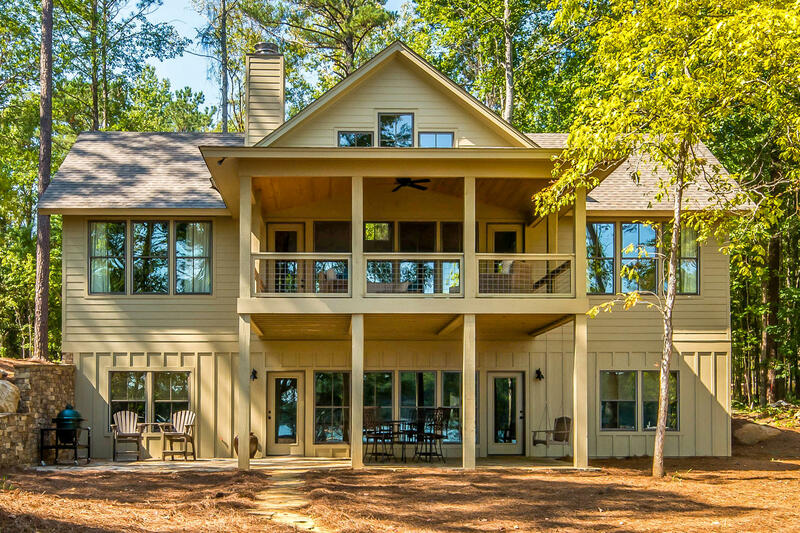 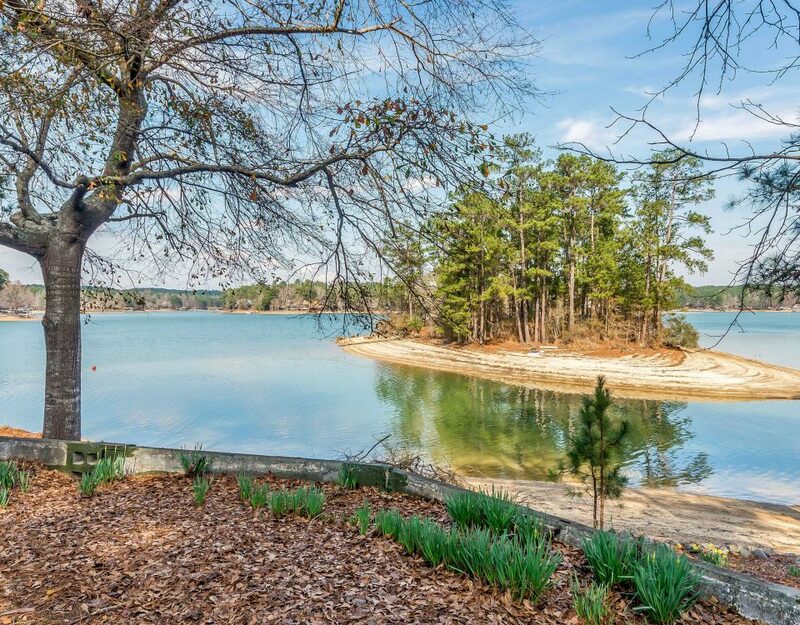 The Little Kowaliga area is not a neighborhood; rather it is a geographic area of waterfront homes and lots for sale on Lake Martin. Some people that grew up here or have had cabins on Lake Martin for 40 years may even argue with me for calling it Little Kowaliga. 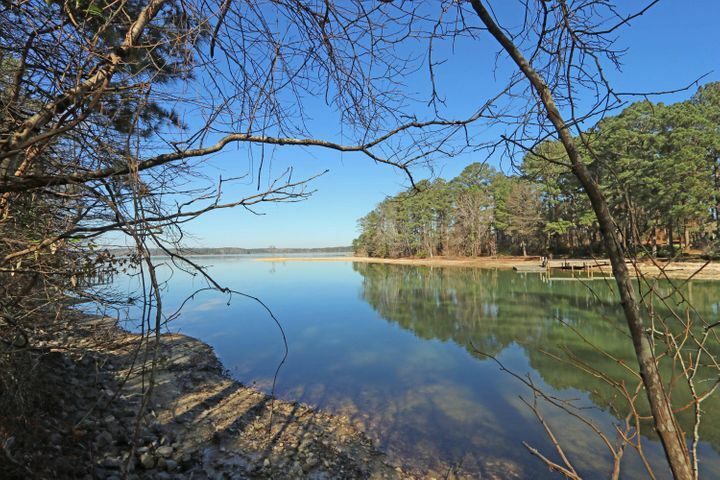 Lots of people refer to this area as the Real Island area, because Real Island Marina is the oldest marina in the area. 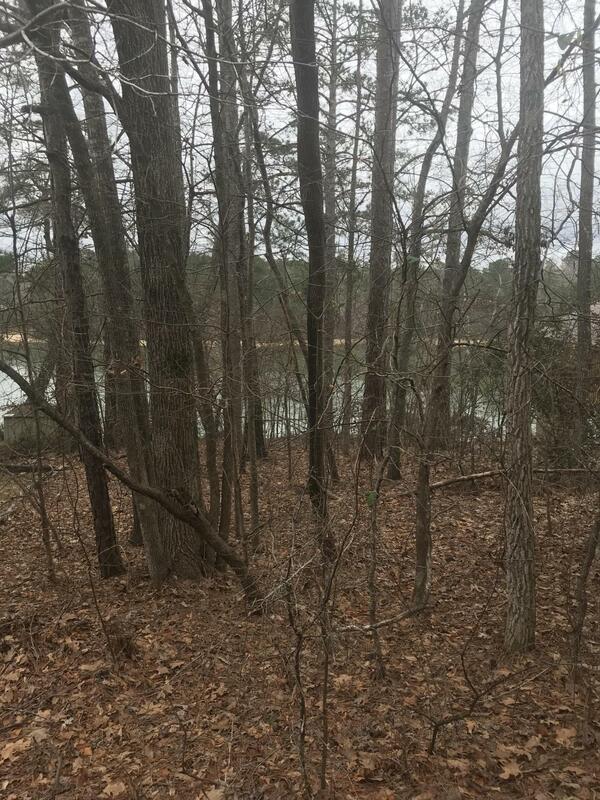 The reason it’s called Little Kowaliga is because Little Kowaliga Creek once ran here before the lake was created by Martin Dam. 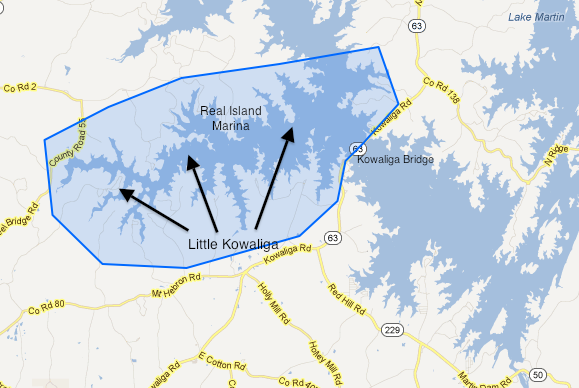 If you look at a map of the lake, Little Kowaliga is the southwest finger of Lake Martin. 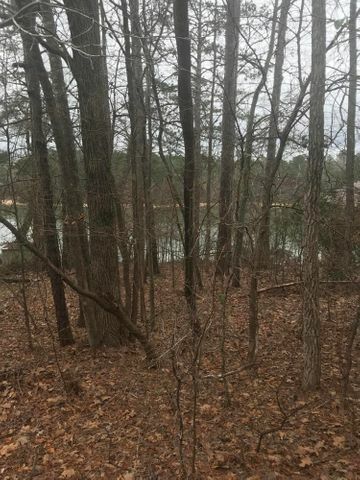 It is west of Kowaliga Bridge (Highway 63 bridge) and is a large slough that runs east-west towards Highway 9 in Wetumpka, AL. 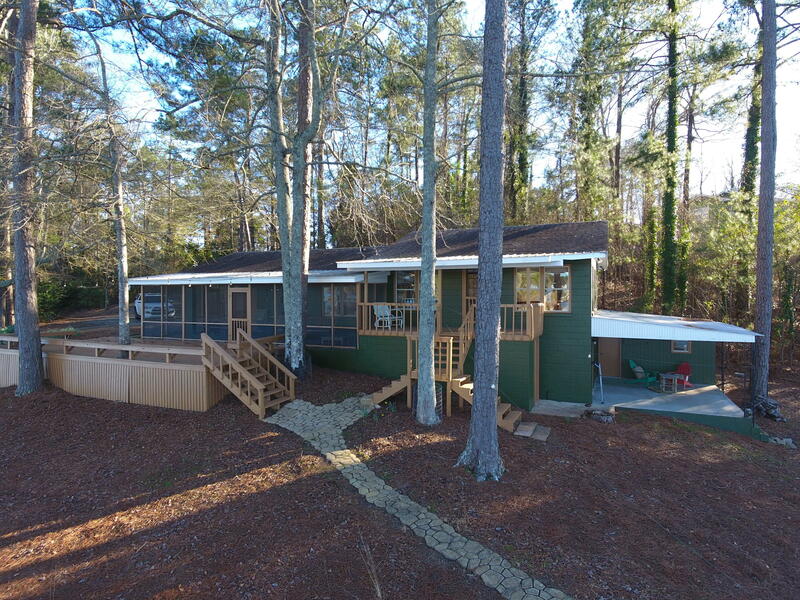 Therefore, it is close to Montgomery, and traditionally a lot of Montgomery families have had cabins in this area. Real Island Marina is located about midway along the north shore of Little Kowaliga. 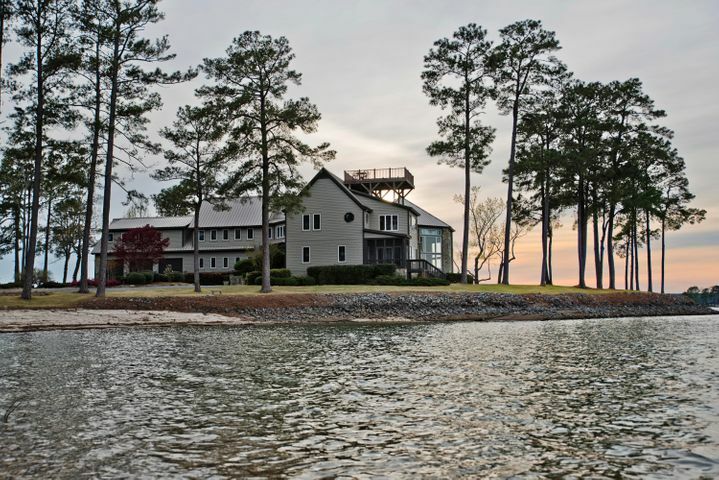 Kowaliga Marina is located on the south shore of Little Kowaliga, just west of and visible from Kowaliga Bridge. 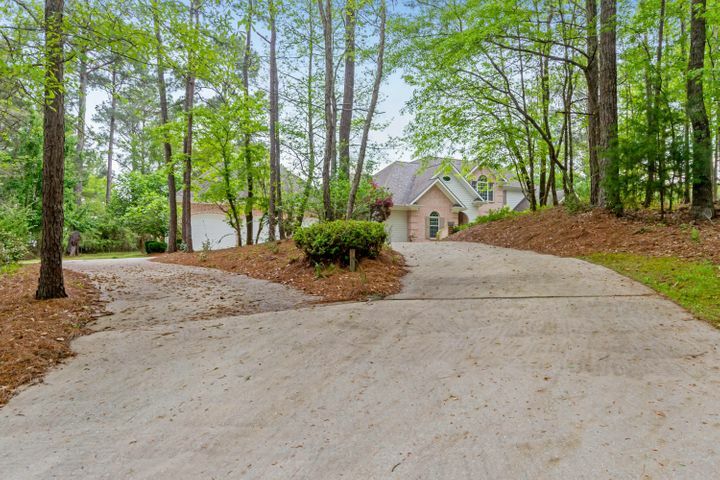 There aren’t really any formal neighborhoods in Little Kowaliga. 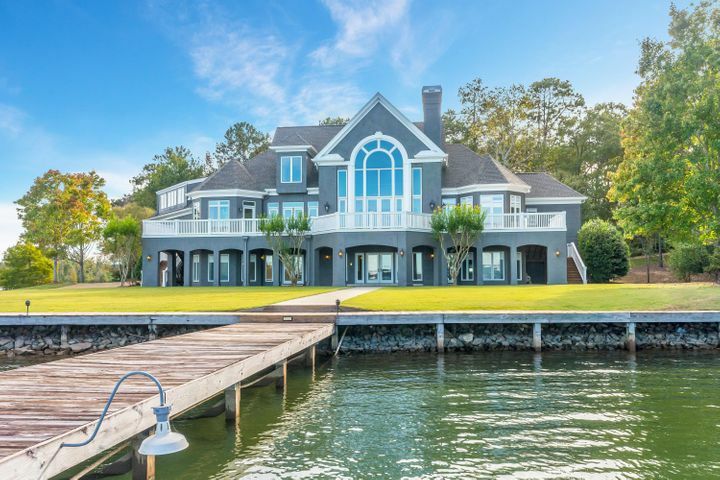 Most waterfront homes in this area are located off of county roads. 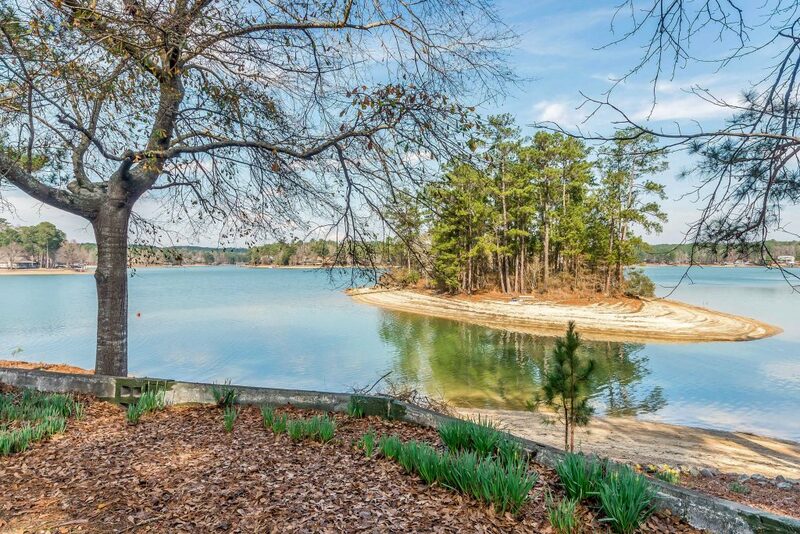 This is another section of Lake Martin where you can have a trailer next to a two million dollar home. 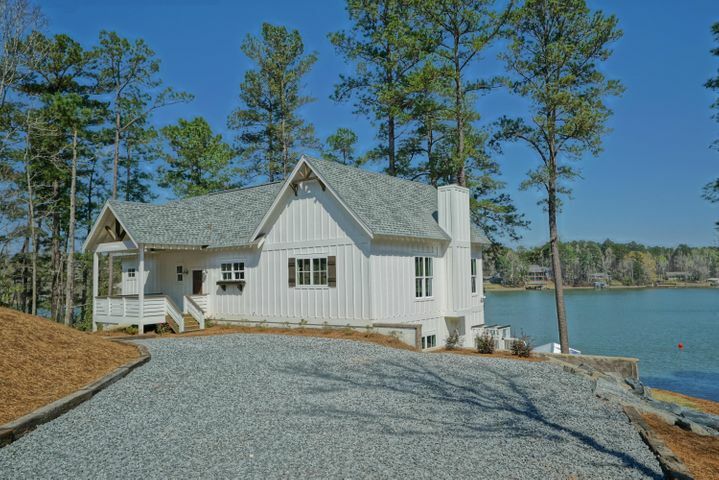 It is similar to Parker Creek in that there are really no undeveloped lots left. 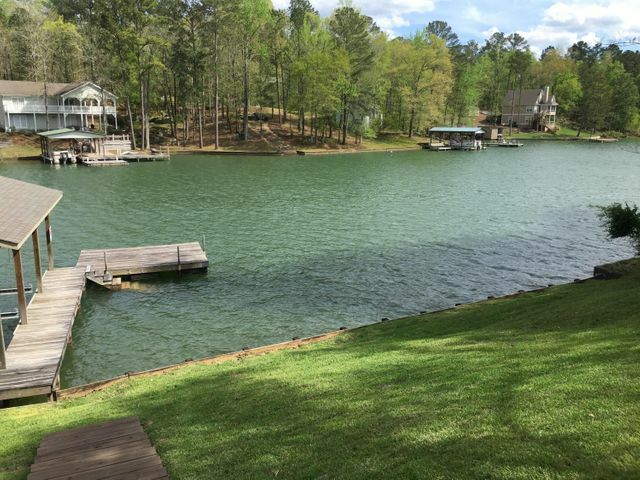 When you see new construction on a waterfront lot in Little Kowaliga, odds are that person has torn down an old cabin or mobile home. Another thing to note about the Little Kowaliga area is that the county line separating Elmore and Coosa counties runs through this area, so you can have homes in the town of Equality that can be in either Elmore or Coosa County. 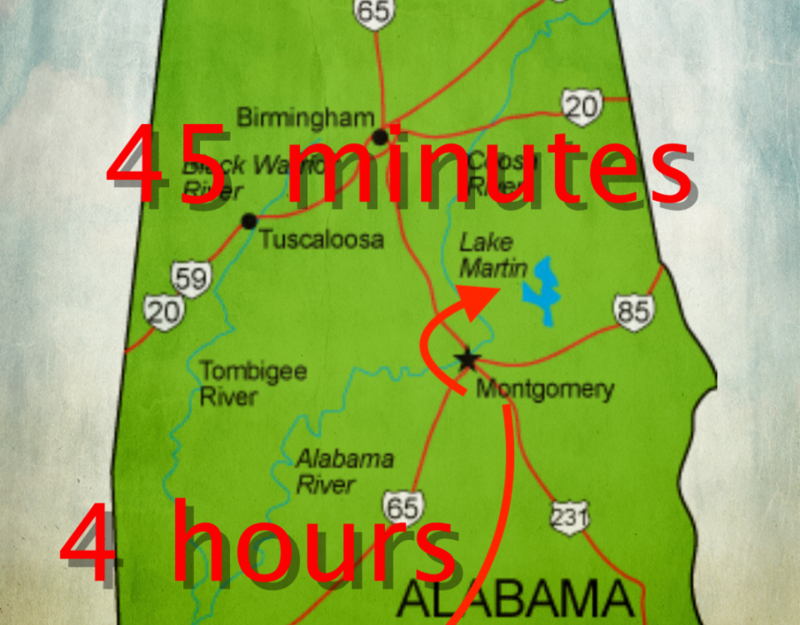 As you drive the road on the north side of Little Kowaliga, road signs can switch from Elmore County to Coosa County, and then back again. 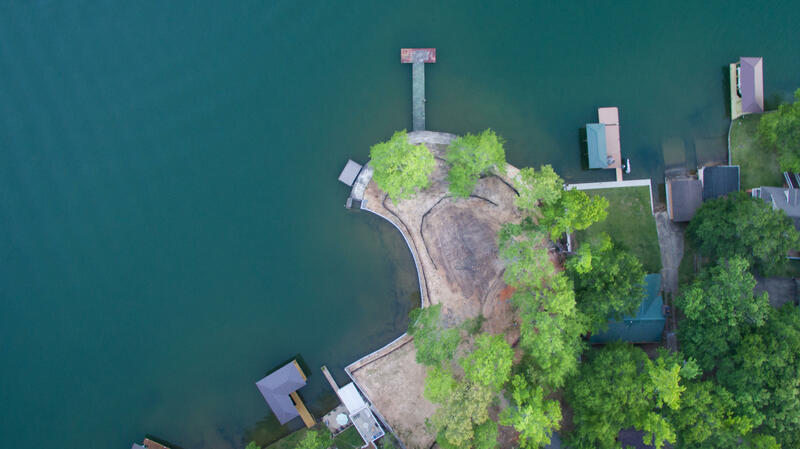 Google Maps and GPS’s still haven’t figured out many of the streets, so it pays to combine them with a good physical map of Lake Martin, and good directions from a homeowner. Hancel Road, for example, is a road that runs in and out of both counties, and is spelled 3 or 4 different ways by street signs, Google, the MLS, and GPS’s. If you’re looking for the “lake cabin at the end of the dirt road” experience, the Little Kowaliga area might be a good fit. 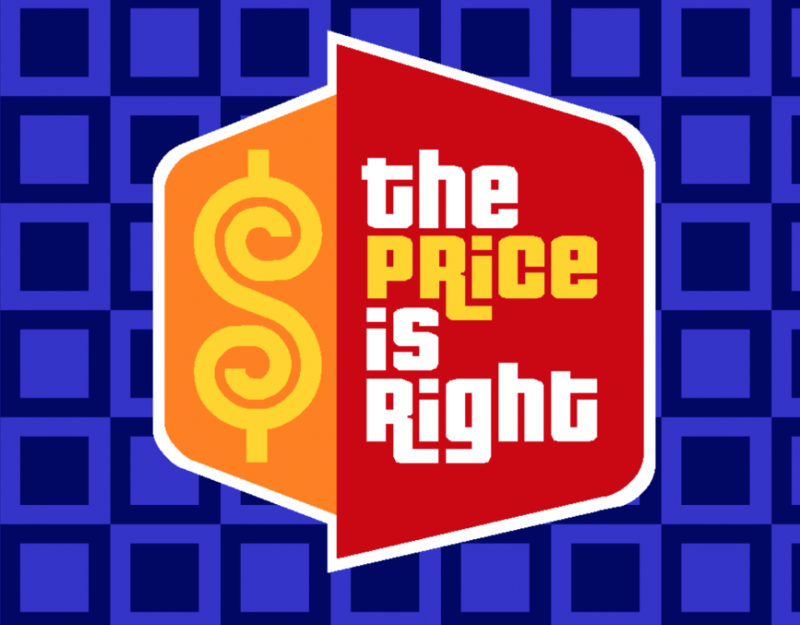 Price Drop in Real Island! 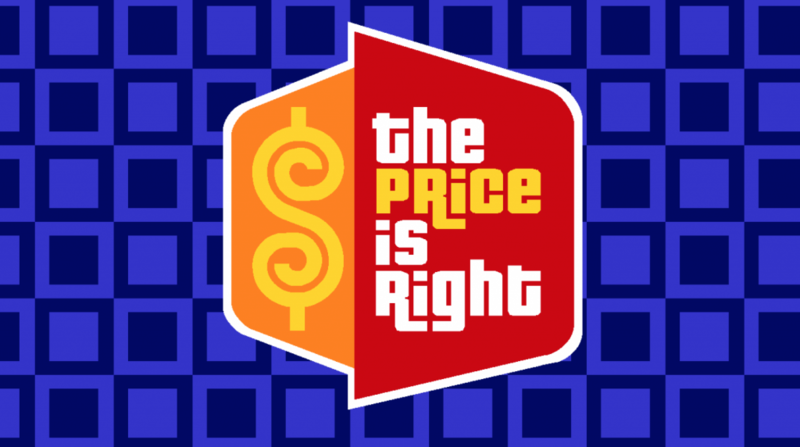 The Price is Right! 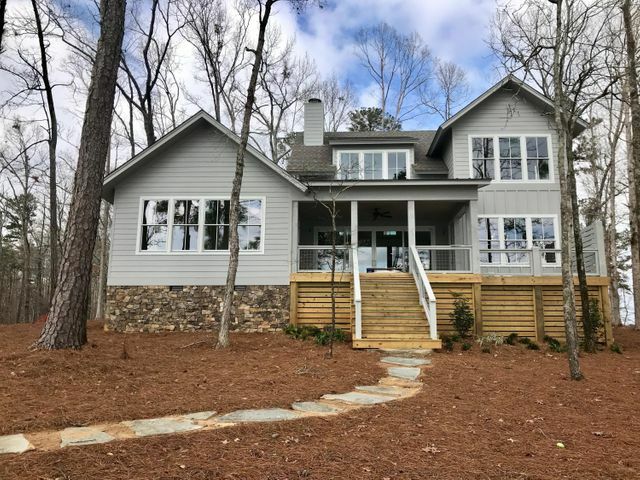 Come on down to 75 Oakcrest Drive! 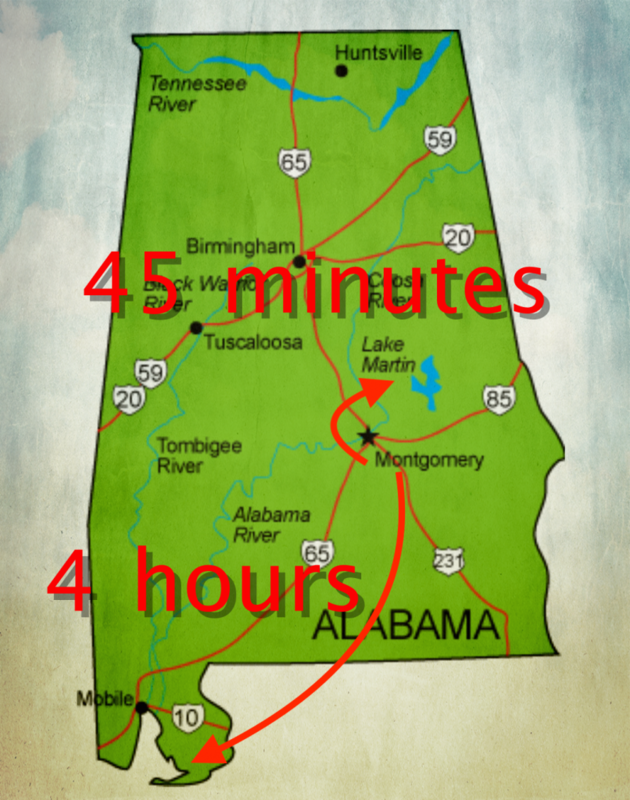 Your choice – 45 minutes to Lake Martin or 4 hours to Gulf Shores?